Carlos Creek Winery's spectacular natural surroundings provide an extrodinary settign for an unforgettable wedding day. We provide unique stree-free weddings with more inclusions than and other winery or barn in the state. Situated on 160 acres with picturesque vistas at every turn, your special day will be remembered forever by family, friends and YOU! 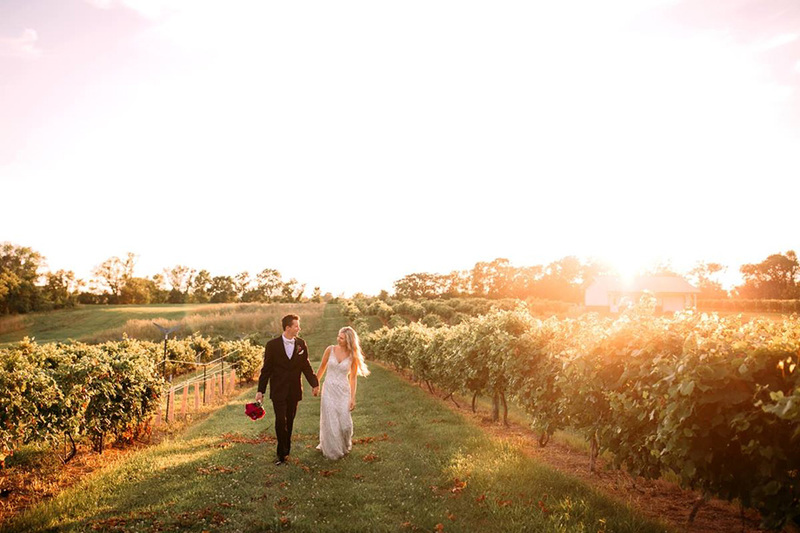 Carlos Creek Winery is the perfect place to get married! Both the staff and the venue are wonderful! The natural cathedral ceremony site is so breathtaking and romantic and the grand stables reception hall is spacious, rustic, and absolutely amazing! We got so many compliments on how beautiful everything was from all of our guests!! The event team, Paige, Melissa, and Jaimee, helped us at every turn with whatever questions or requests we had and made our day perfect Perfect PERFECT! They truly made us feel like VIP guests throughout the whole process! Melissa was our “day of coordinator” and she was a rockstar! She was upbeat, organized, and kept everyone and everything in place on the big day! Mary, the florist for CCW, was also absolutely amazing! Our centerpieces, outdoor flowers, and arbor were stunning and I couldn’t picture anything more perfect for our big day! 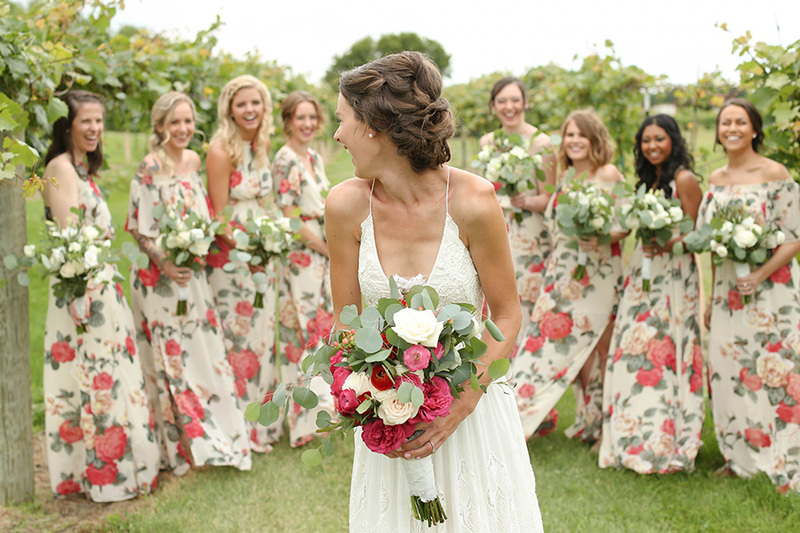 If you are looking for a picturesque romantic winery wedding than Carlos Creek is the best place possible! WE LOVE CCW! ? CCW was my daughter's dream wedding location and one of the first we checked out. We decide to book a Friday date and the planning began. As the mother of the bride it was important to me that the planning, working with the venue of our choosing, and the day of was as stress free as possible. We wanted to enjoy it all and make loving memories to cherish. Carlos Creek Winery delivered beyond our expectations. A few days before the wedding a major storm rolled through and it was a mess! They rallied the troops and the day of the wedding you would never had know the mess Mother Nature had left just a few days before! We received so many compliments on the beautiful setting and service! Melissa and Paige...simply AMAZING! Both communicated promptly and professionally! Day of Melissa had it all under control and we all felt in such good hands. Mary the florist is amazing and will work with you to make your vision come alive. Finally the food...so good! Again, many compliments from our guests on how good everything was. Thank you CCW for a lifetime of special memories! Carlos Creek Winery and went above and beyond exceeding all expectations for our wedding! Our wedding coordinator Jaimee Lusby deserves a special thanks and I cannot say enough good things about her. She was class personified, calm and collected, and an ABSOLUTE joy to work with. Her attention to detail, professionalism and outgoing fun loving personality put us all at ease and allowed us to enjoy each little moment of our big day. 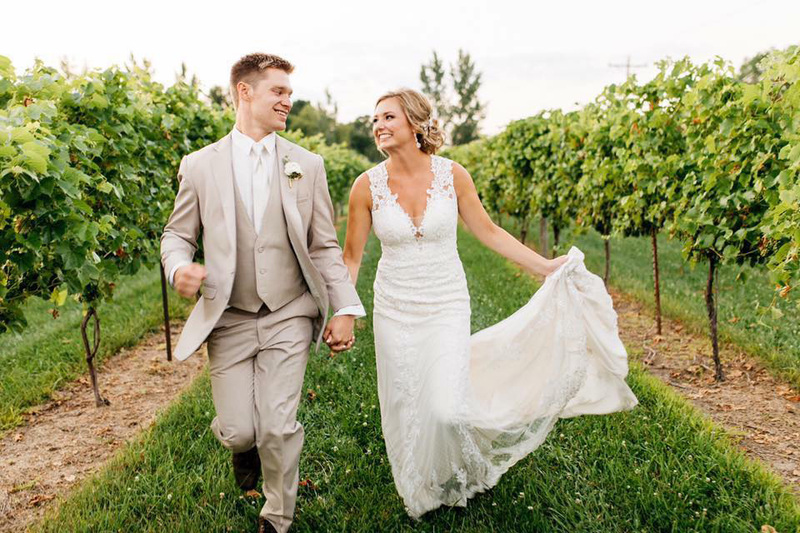 Carlos Creek Winery is very lucky to have her and we feel just as lucky to have had her share in our wedding day! Whatever you are paying her, double it!!! Additionally Mary Baumann (Master Floral Designer) is an absolute artist and a true master of her craft! From the greenery decor on the arbor in the natural cathedral, the floral in the reception, the guests and head table, each layer and tiny detail was displayed with such care and perfection that my bride and I both teared up sneaking a peek before the reception started. She also helped keep me calm right before the first look and we are so happy she was able to share and see the moment as I first saw my beautiful bride! Thank you Mary!! I could write a novel when it comes to Carlos Creek Winery. It is everything we wanted in a wedding venue and then some. The grounds are impeccable, the sights are breathtaking, and the staff is talented and kind beyond any staff I have ever seen in any sort of profession. It quickly became very obvious to us as to why that is the case, its because they truly care and want everyone to share in the beauty that they are surrounded in daily at Carlos Creek Winery. Do not hesitate to have your wedding here, they would love to have you and will make you feel like family. 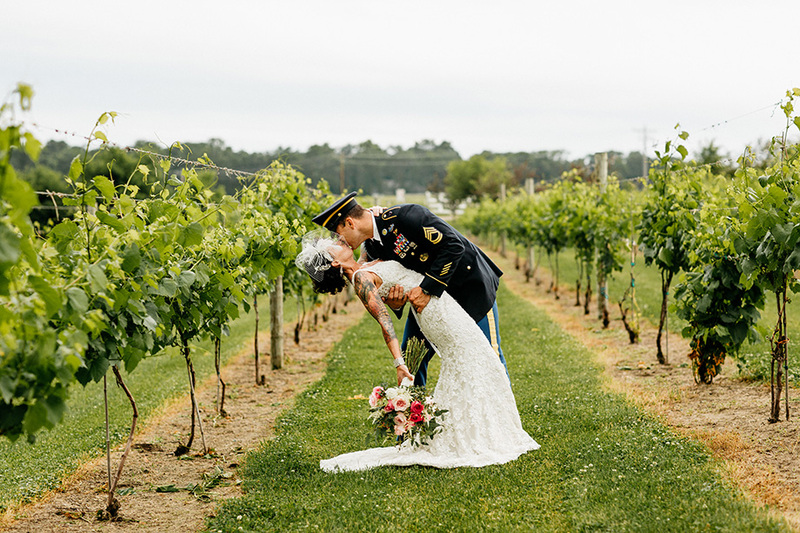 Not only is Carlos Creek Winery a beautiful site for both a ceremony and reception, but the team there is amazing! My husband and I wanted to find a venue that was affordable but also beautiful & unique. In addition, we wanted it to be as easy and stress-free for us as possible - not exactly an easy task - but Carlos Creek was exactly what we were looking for! All decorations (centerpieces, etc) were included in the space rental. They also handled the catering and cake. And these are NOT cheap-looking decorations or mediocre food. The food was UNBELIEVABLE! So many guests at our wedding commented on just how amazing the food was. The decor was the perfect mix of classy but simple and modern - not over-the-top - which is exactly what we were looking for. We were assigned a wedding coordinator that assisted us with every detail beginning months in advance of the wedding. Our coordinator, Paige, answered every one of my emails (with my random questions) within a day of receiving them. Paige was super helpful during the rehearsal and of course during the actual wedding day. She was there first thing in the morning and on-site the whole day until after it was over - constantly checking in, making sure we had what we needed while we were getting ready, and then, during the event itself, Paige made sure everything happened exactly as we had planned. Overall, it was just so nice to know that everything was taken care of, and we didn't have to worry about anything on our wedding day. We were able to just relax and enjoy ourselves. Everyone had a blast, and it was in large part due to the team at Carlos Creek. I'd recommend it to anyone looking for a place that's a little off the beaten path, but still maintains high standards of quality and service. You definitely can't go wrong choosing Carlos Creek!